Heat oil in a medium skillet and add onions. Cook until soft. 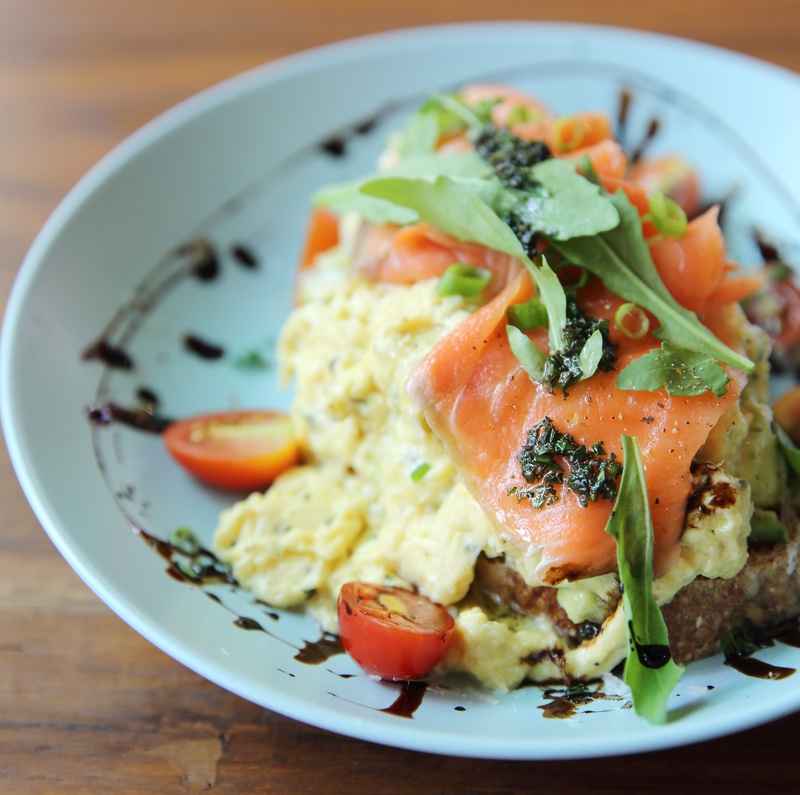 Beat the eggs in a small bowl and add salmon. Season with pepper. Pour egg over onions and scramble. Top eggs with tomatoes and garnish with capers and parsley..